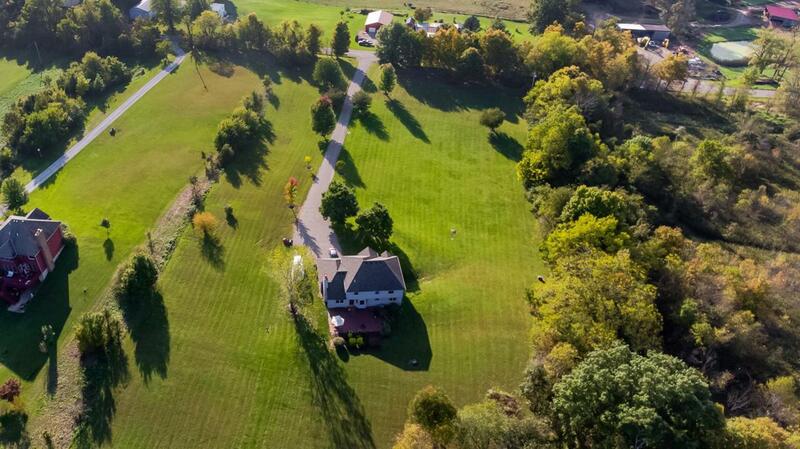 Attractive 2 story home situated on 9+ picture perfect acres! Spacious rooms throughout including a lovely Kitchen featuring newer appliances. The Kitchen opens to the eating area & Family Room w/ a wbfp. 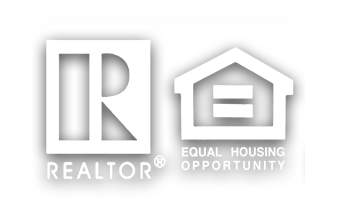 Nice floor plan that includes a vaulted Owner's Suite w/ a deluxe Bath & walk-in closet, 2 story Foyer, good size Living Room & Dining Room and a convenient main level Laundry. Full, walkout Basement plumbed for a Bath, offering area for expansion, if needed. 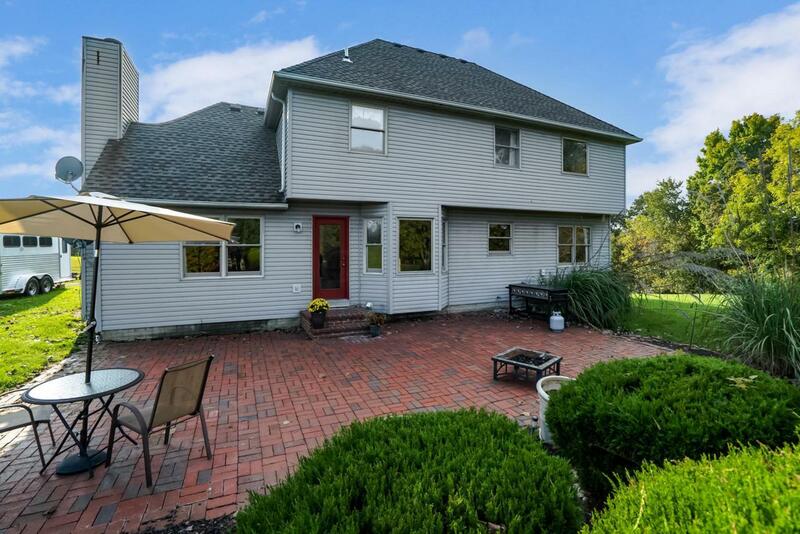 Large brick Patio to enjoy the peaceful setting & views of the area's wildlife. 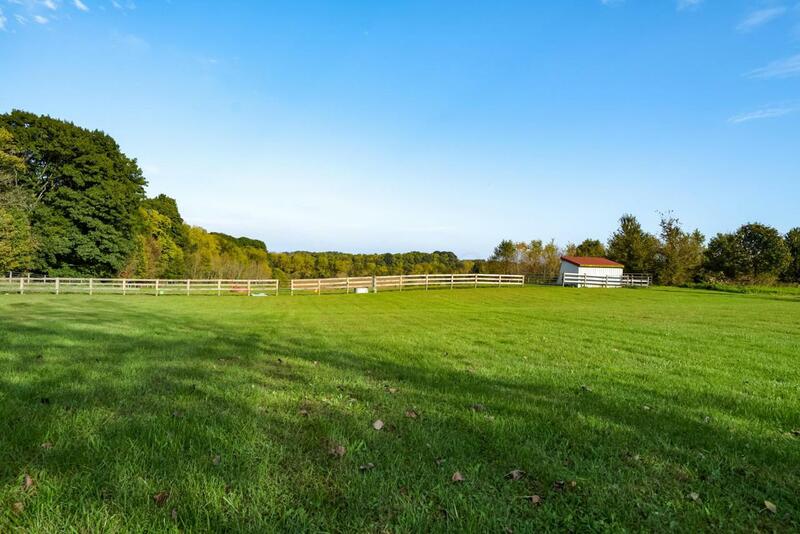 4+ acres of fenced pasture that has electric and water nearby, along with a horse enclosure/shed. Newer roof, AC & heat pump approx 6 years old. Near Routes 62 & 13.